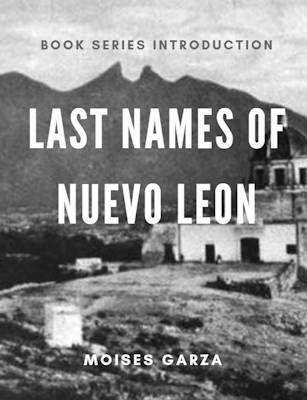 This 510-page book contains six generations of descendants of Diego de Treviño and Beatriz de Quintanilla. Their children were born in the 1550’s through the 1570’s in Mexico City and other regions of Mexico. The descendants of Diego are considered to be the progenitors of the Treviño last name in Nuevo Leon, Tamaulipas, and Texas. I had initially published this book with Diego Temiño de Banuelos and Francisca de Alcocer, whom many researchers think are the parents of Diego de Treviño but after evaluating all my data and sources I believed that I did not have the unquestionable proof due to the so much conflicting information that is out there. So I did the right thing and updated the book to start with Diego de Treviño and Beatriz de Quintanilla. The documents starting with them are abundant and the sources are plentiful. 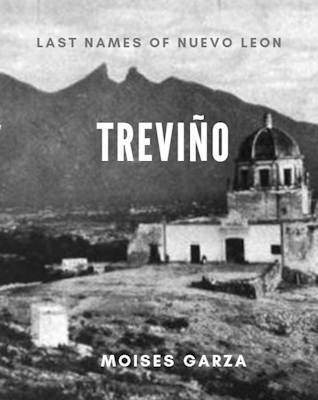 This book is an attempt to document the descendants of Diego de Treviño and Juana de Treviño Quintanilla and even at 510 pages, there are many more to be discovered. Research is a never ending endeavor.